As a light snow blanketed Toronto, more than 400 people converged for the second annual Canadian Crowdfunding Summit March 2-3 in Toronto. Attendees had much to talk about: since the last time they gathered, Canada had enacted three new securities exemptions and begun harmonizing rules across the country. The new rules coincide with a spike of new equity and debt platforms looking to jumpstart the country’s young crowdfunding industry. There are currently 120 crowdfinance platforms across Canada, including rewards, equity and lending—up significantly from a year ago. “This is the industry’s startup year in Canada,” said Tabitha Creighton, CEO and cofounder of InvestNextDoor, a crowdlending platform active in the U.S. that is expanding to Canada. Creighton, a native of British Columbia, said the improving regulatory environment in Canada had prompted the move. As Canada’s largest province and its financial center, Ontario holds much sway. It attracts the bulk of the country’s venture capital investments, and half of Canada’s crowdfinance platforms are based there. The Ontario Securities Commission (OSC) has a reputation as a strict regulator, and its moves are closely watched—and often adopted—by other provinces. That’s why Ontario’s embrace of the Integrated Crowdfunding Exemption, which went into effect on January 25, was so eagerly awaited. “We are committed to fostering a vibrant capital raising ecosystem and reducing regulatory burdens,” Monica Kowal, vice chair of the OSC told the assembled crowd. (Interestingly, more than half of the OSC commissioners, including the chair and vice chair, are women). Canada’s newest law is the Integrated Crowdfunding Exemption, which went into effect in Ontario, Manitoba, Quebec and New Brunswick on January 25. (Saskatchewan intends to implement the exemption as well). 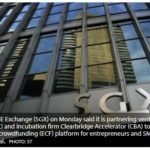 Companies to raise up to $1.5 million from the public in a 12-month period under the law, and must provide investors with a crowdfunding offering document. Retail investors are capped at $2,500 per deal and an aggregate of $10,000 per year, while accredited investors can invest $25,000 per deal and $50,000 in aggregate per year. The first deal under Ontario’s exemption— an $800,000 raise by Lux Wind Turbines on the crowdfunding site FrontFundr—went live on March 3. Funding portals must register with the OSC or appropriate provincial authority. In June 2015, six provinces— British Columbia, Saskatchewan, Manitoba, Québec, Nova Scotia and New Brunswick, adopted the Start-up Crowdfunding Exemption. Under that law, issuers can raise up to $250,000 from the public, up to two times per year. They must provide a crowdfunding offering document, but financial statements are not required. Investors are limited to $1,500 per deal. Another exemption, called the Offering Memorandum, allows issuers to raise money from the general public, with some limits. The OM, part of something called the National Instrument 45-106 Prospectus Exemption that preceded crowdfunding exemptions, has been available in most provinces, with slight differences. Several provinces impose limits on investors who do not meet the threshold of an “eligible” investor—defined as having an annual income of $75,000 (or $125,000 with a spouse), or net assets of $400,000, or being a close friend, family or business associate. On January 13, Ontario became the last province to adopt the OM exemption, but with stricter terms. Retail investors can invest $2,500 per company, up to a maximum $10,000 total in the same calendar year. Eligible investors, meanwhile, are capped at $30,000 per 12-month period, unless they receive professional financial advice. In addition, issuers must provide ongoing disclosure, including audited financial statements and annual updates on how the funds raised were spent. At least five other provinces are adopting Ontario’s more stringent OM rules. The National Crowdfunding Association of Canada (NCFA Canada) is a cross-Canada non-profit actively engaged with both social and investment crowdfunding stakeholders across the country. NCFA Canada provides education, research, leadership, support and networking opportunities to over 1300+ members and works closely with industry, government, academia, community and eco-system partners and affiliates to create a strong and vibrant crowdfunding industry in Canada. Learn more About Us or visit ncfacanada.org.